Master Bond EP17HTND-CCM is a one component, heat cured epoxy system for bonding, sealing and glob top applications. It requires no mixing and cures readily at 300-350°F. Typical curing schedules are 2 hours at 300°F or 1-2 hours at 350°F. Curing in this manner will result in a glass transition temperature (Tg) of 200-210°C. EP17HTND-CCM has a great flow profile for glob top applications and is black as well. 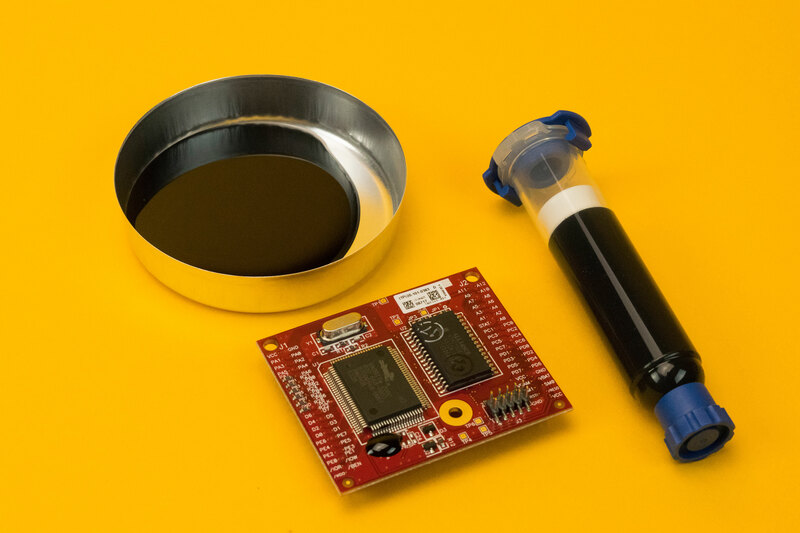 This epoxy system features excellent physical properties, superb electrical insulation along with good thermal conductivity, even at elevated temperatures. This system is also distinctive in that it has a relatively low exotherm upon curing. EP17HTND-CCM is 100% reactive and contains no solvents or diluents. EP17HTND-CCM bonds well to similar and dissimilar substrates such as metal, ceramics, plastics and composites. It has a noteworthy resistance to many chemicals including acids, bases, salts, fuels, oils and many solvents. Significantly, It has minimal shrinkage upon curing. Its service temperature range is from -80°F to +600°F. Since it passes NASA low outgassing, it can be used in vacuum type situations and other applications where that requirement is needed. EP17HTND-CCM is used primarily as a glob top and sealing material in electronic applications where high temperature resistance and good electrical properties at these high temperatures is needed. EP17HTND-CCM is available is various sizes and units to accommodate customer's needs.